Cameron Diaz was spotted at the fundraiser for President Barack Obama in London, co-hosted by Anna Wintour and Gwyneth Paltrow. For the occasion, she chose a baby pink jumpsuit with short sleeves and a matching skinny belt from Emilia Wickstead’s Fall 2012 collection. I’m not a huge fan of Cameron’s white shoes here, but I think the jumpsuit is so chic. 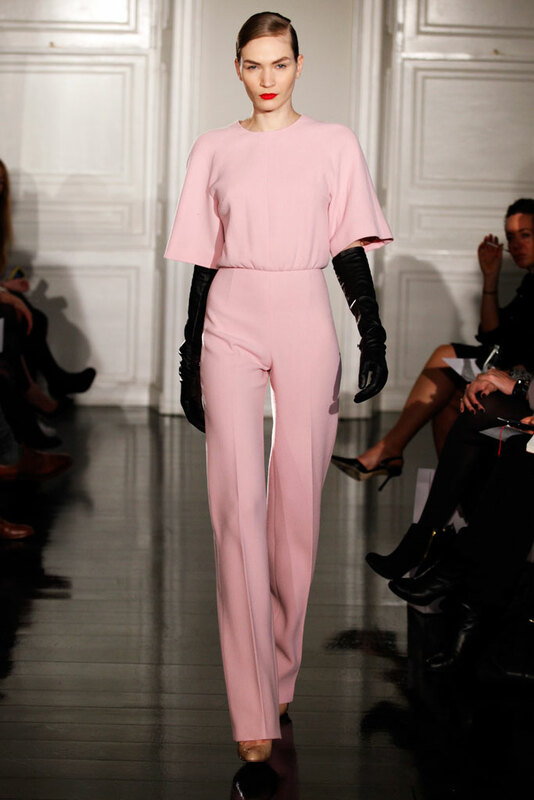 Visit www.emiliawickstead.com for more information and see Cameron’s jumpsuit on the runway below.